If you can find a way to get there, the biggest and best Oktoberfest party in the world is the original celebration at Therese Weise in Munich, Germany. The center of Bavaria will be bumping with traditional music and the crowds will be imbibing giant mugs of beer and enjoying mouth-watering foods like pretzels, sausages, and schnitzel while adorned in dirndls and lederhosen from Sept. 22 through Oct. 7. 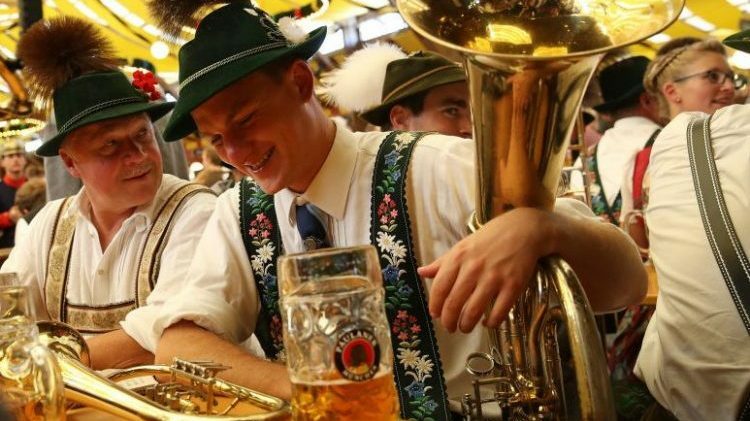 If you can’t find a flight to Germany, you can still enjoy all the excitement the holiday has to offer without even leaving the U.S. Communities all over the country celebrate Oktoberfest with giant, raucous parties and you can bet there will be a lot of beer flowing at all of them. Here are some of the best Oktoberfests nationwide. If you’re anywhere near Tulsa and you want to celebrate Oktoberfest, it’s worth your while to take a road trip to Linde Oktoberfest. This year, the event is being celebrated Oct. 18 – 21 and is one of the best rated Oktoberfest celebrations in the country. From authentic Bavarian food, lots of beer, and even a “Dachshund Dash” (it’s exactly what you think it is), this festival has everything you want in an Oktoberfest celebration. This year marks the 48th annual Oktoberfest celebration in Helen, Georgia. A two hour drive from Atlanta, Helen’s Oktoberfest shindig is one of the longest-running in the country as it began on Sept. 9 and will continue until Oct. 28. Much of the appeal is the fact that this isn’t just a city closing down a street to celebrate the holiday. Helen is an authentic Bavarian village in the middle of the Blue Ridge Mountains. For the holiday, the town celebrates with Bavarian food and drink, dancing, and a whole lot of polka. One of the biggest and most well-known Oktoberfest celebrations in the U.S., Oktoberfest Zinzinnati is home to the “World’s Largest Chicken Dance.” If that’s not enough to get you to travel to the Queen City, this festival, which lasts from Sept. 21 – 23, is a veritable cornucopia of sausage, Bavarian desserts, and of course, beer. Because this festival takes place earlier than most, you’ll have to wait until next year to enjoy this huge, German party. If you live within driving distance of the Bay Area, you must attend Oktoberfest by the Bay. Head over to Pier 48 for authentic tunes, dance, food, and drinks (that means beer). Known as one of the largest Oktoberfest celebrations in the country, Oktoberfest by the Bay runs from Sept. 21 – 23, so make sure to grab tickets to next year’s event because you won’t want to be left out in the cold without a hot pretzel to warm you up. Celebrated since 1969, Denver Oktoberfest is celebrated over two weekends this year (Sept. 21 – 23 and 28 – 30) so that means you still have time to book a flight and hotel in the Denver area and visit this Bavarian festival featuring stein hoisting, tons of authentic music, keg bowling, and all the German food and drinks you could ever want. This Oktoberfest celebration is no joke. It takes place over three different weekends at four venues (Oct. 5 – 6, Oct. 12 – 13, and Oct. 19 – 20). From keg tapping ceremonies to traditional music and dance to bratwurst, turkey legs, German Cake, and giant beer steins, this is arguably the best festival in the Pacific Northwest.